Oklahoma Connection | Love was born in Oklahoma City, Oklahoma, and has lived there all her life. Judy married Tom Love on December 26, 1960, the day after Christmas, to save money on flowers. Judy Love helped her husband, Tom, start Love’s Travel Stops and Country Stores in 1964. She worked full time in the company until 1975 when she returned to college to become an interior designer. She serves as chairman of Love’s Family Foundation and secretary of the corporation, as well as performing other special assignments. An Oklahoma City native, she graduated from Bishop McGuinness High School, and today outstanding theatrical students at McGuinness are awarded the Judy McCarthy Love Award. The Loves have given back to McGuinness with the McCarthy Gymnasium, named after her father. The Loves have established Love’s Entrepreneurial Center and the Love Boat at Oklahoma City University and the Frank C. Love Cancer Institute and Margaret Love Surgery Center at St. Anthony Hospital, named after Tom’s parents. Love serves on the boards of St. Anthony’s Foundation, the Oklahoma City Museum of Art, the Civic Center Foundation, Allied Arts, Oklahoma City Community Foundation, University of Central Oklahoma Foundation, and SSM Health Care of Oklahoma. 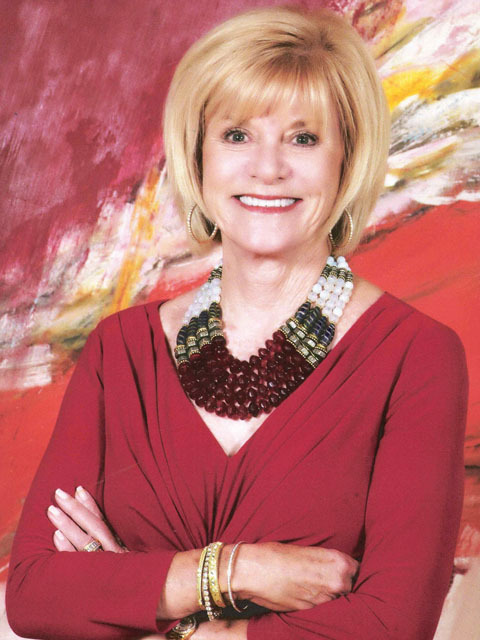 She has co-chaired the Heart Ball to benefit the American Heart Association, the fund drive to complete the front plaza courtyard at St. Antony Hospital. Love’s honors include the Lifetime Achievement Award and Distinguished Woman Award from Oklahoma City University, Woman of Distinction from the Girl Scouts, Oklahoma Health Center Foundation’s Treasures for Tomorrow, Notre Dame Club Woman of the Year for Oklahoma, Bishop’s Outstanding Lay Catholic Leader, and Outstanding Philanthropist Award from the Oklahoma City Chapter of the National Fundraising Professionals. Judy and Tom have four children and nine grandchildren. See pictures of Judy Love and other media HERE.